Welcome to the official THUMBPIRE website - we're glad you're here! 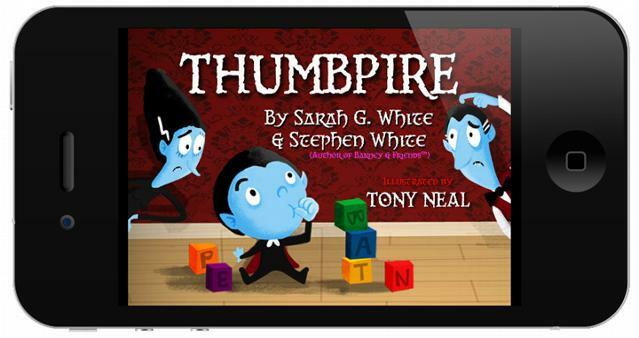 THUMBPIRE is the story of a little vampire who needs to somehow stop sucking his thumb so that his fangs can grow in - but it won't be easy! Helping Thumby break the habit is a big job - not just for his parents, but for an entire community of comically helpful monsters! Kid-pleasing and family-friendly, THUMPIRE is an ebook that everyone can sink their teeth into! 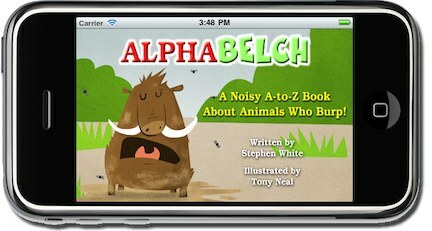 Also from Stephen White & Tony Neal: "AlphaBELCH"
An animal A-to-Z book with a different burp on every page!